Palakkad heat was uncomfortable even at 7 O’Clock in the morning. The temperature wasn’t that high but the humidity made me slightly uneasy. We had a challenging course ahead. After dropping off my luggage and having a sub-par breakfast, I patiently waited for the trip to start. I did not want to bear the brunt of the heat. 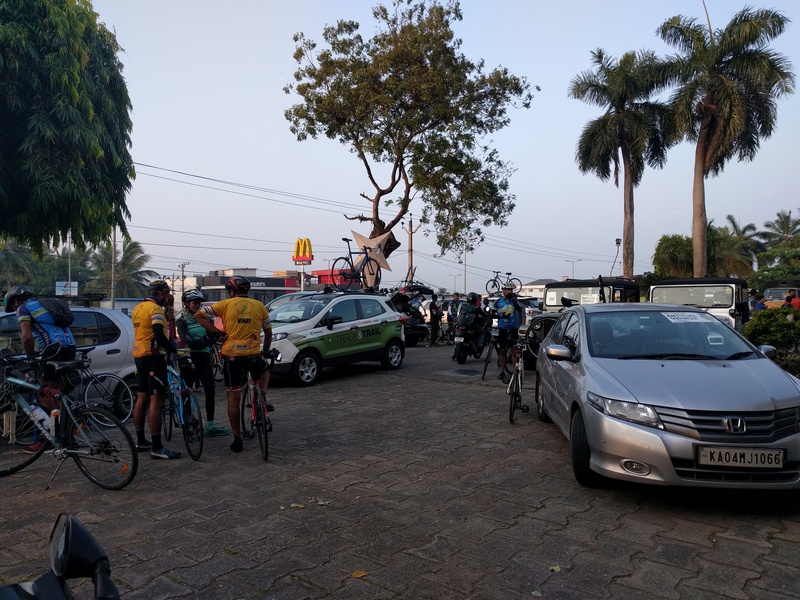 Riders getting ready for a long day. The terrain was a slow and steady uphill. It appeared nearly flat but the elevation map showed a gradient of about 0.3-0.5%. 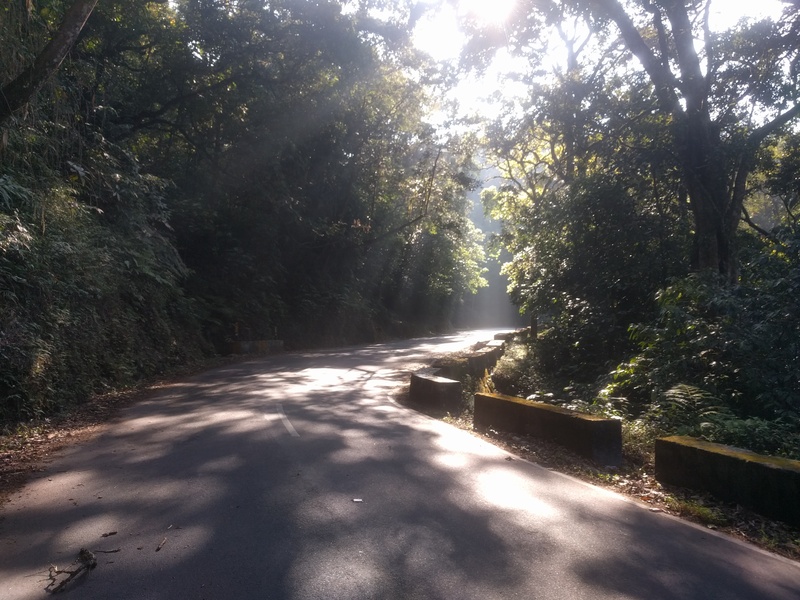 I paced myself at about 25 kmph in order to reach Aliyar Dam as fast as possible. This strategy would give me enough time to complete the challenging Valparai climb. Along with the uphill, there was a strong headwind. I had difficulty in maintaining the pace. The empty roads and the open sides amplified the effect of the headwinds. 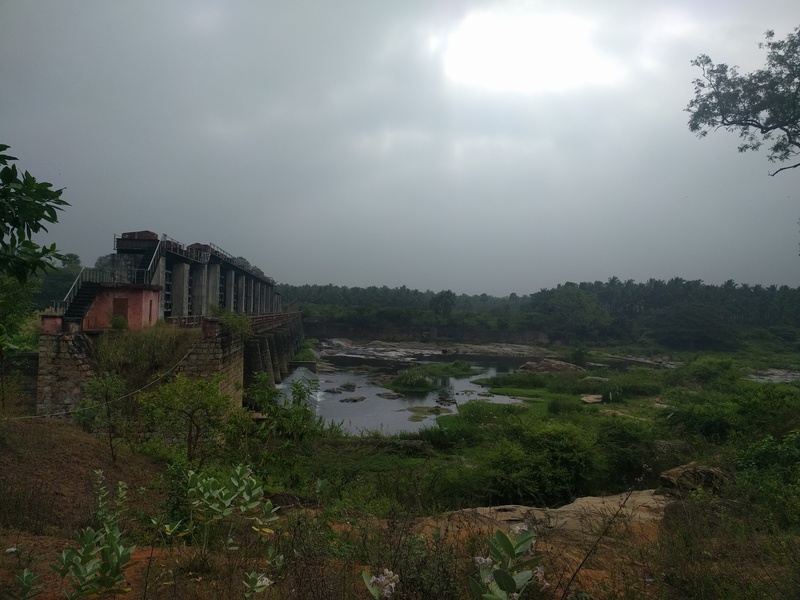 About 30 km into the route, there was a nice dam on Bharathapuzha river right on the border of Tamil Nadu and Kerala. This is where support station 1 was located. Bharathapuzha dam right behind our support station 1. 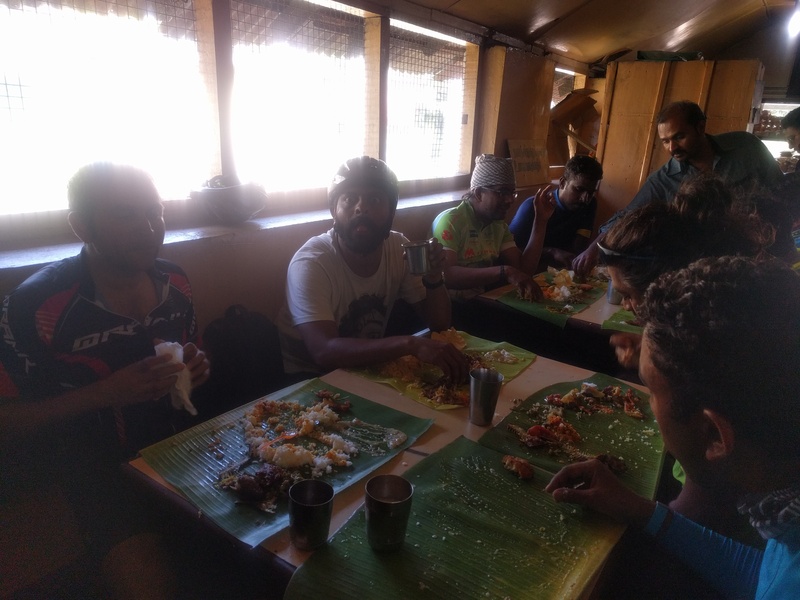 I pedalled along for another 40 kilometres towards Aliyar Dam, hoping to have an early lunch. I was disappointed to find that the lunch point was not at support station 2 but at support station 3. Thankfully, I had stopped at one of the roadside shops and had pocketed a pack of biscuits. 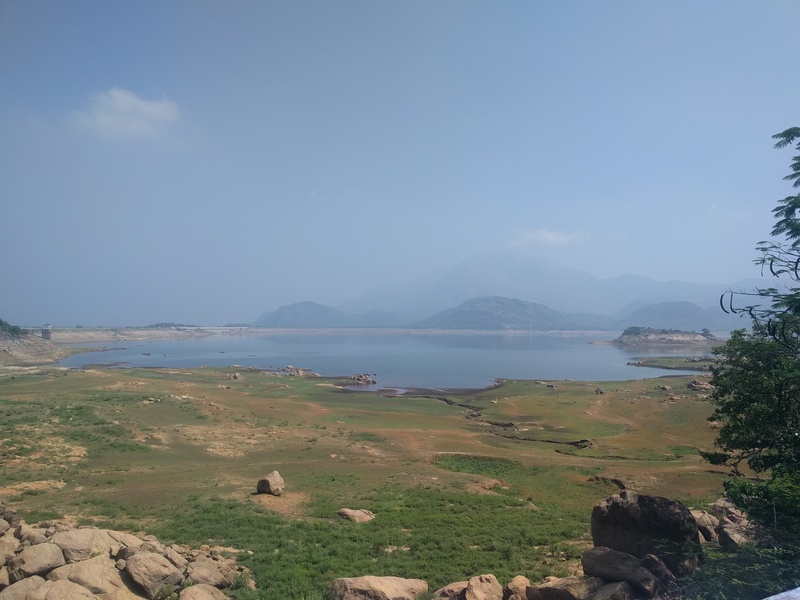 Aliyar dam from the base of the hill. The Valparai climb starts at the Aliyar Dam. It has a constant 5-7% gradient. To top it off, the heat was unbearable. Sun shone directly on the side of the hill we were on. I had learned my lesson earlier and had a strategy – no matter what, don’t stop. 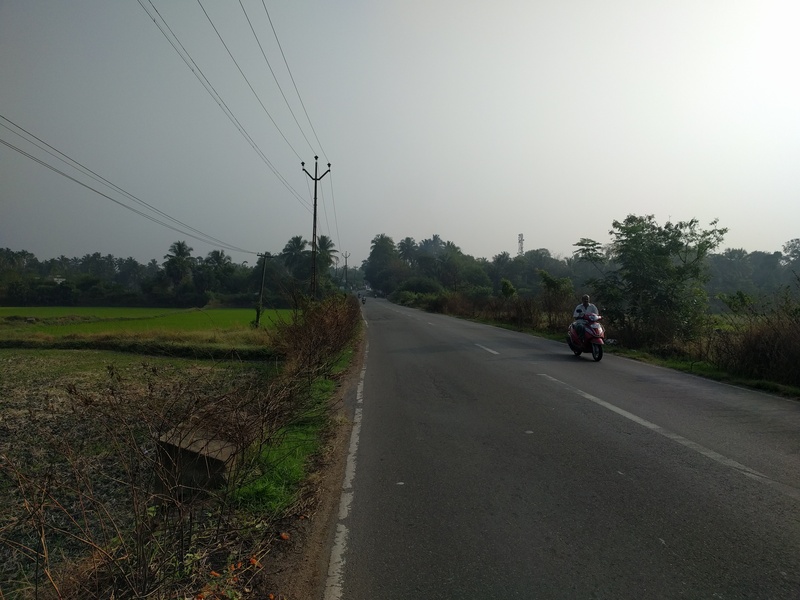 I cycled as much as possible, and pushed the cycle when the speed fell below 5 kmph. Whenever I was on foot, I ate a biscuit and hydrated myself. After each second kilometre, I sprayed water on my neck and shoulders. This section was also the competitive section. I wasn’t participating in it but I was interested in Manjeet’s timing. The organisers will not declare that until tomorrow. After a gruelling 15 km climb, I reached Attakatti. I had stressed my knees too much. I asked the physiotherapist to help me out. She used some kind of roller to ease my leg muscles. I decided not to stress my knees any more. I had enough time to complete the course. Lunch was at a traditional hotel. Food was served on banana leaf. I had lots of rice with sambhar, rasam, papad and dal vada. Riders and volunteers having lunch. I bought some mini Dairy Milk bars before proceeding ahead. After Attakatti, the slopes had eased out a bit and I was able to hold a pace of 7-8 kmph. The road passed though beautiful forests. I spotted Nilgiri Thars, monkeys and Lion-tailed Macaques. The shade of the foliage gave me much respite from the heat. These were some of the most beautiful shades I had passed through in the last few days. 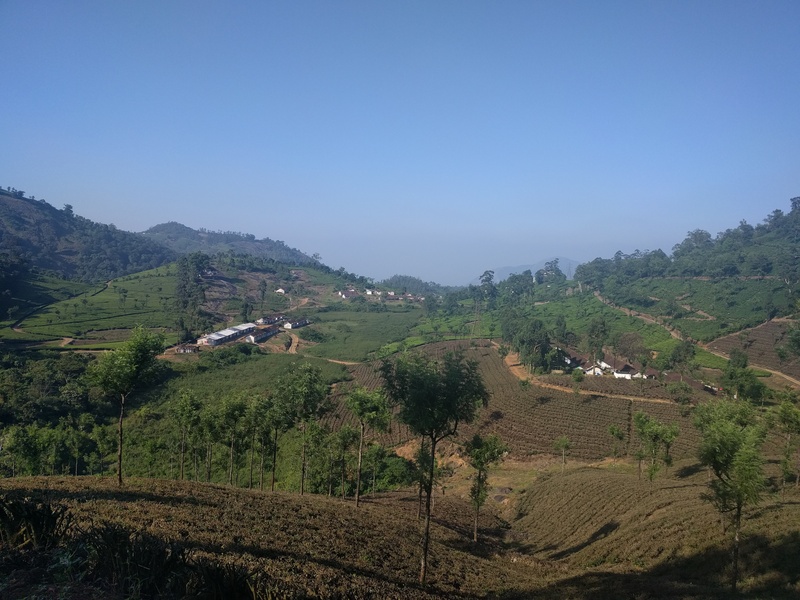 Once I hit the 90 kilometre mark, I was greeted with lush-green tea estates and a beautiful downhill. I rode super slow and even stopped at places to enjoy the views and eat the chocolates I had bought earlier. Meanwhile, I saw Jamie Anderson climbing up from the other side. He said he was training a few extra kilometres by doing the Valparai climb once more! He said that he needed it since he is training for winning the 2017 UCI Gran-Fondo in Masters category. Even with al the slacking off, I made it to the hotel by 4:30 pm. After freshening up, me and my roommates took a stroll around this small town. Tomorrow is the final day.